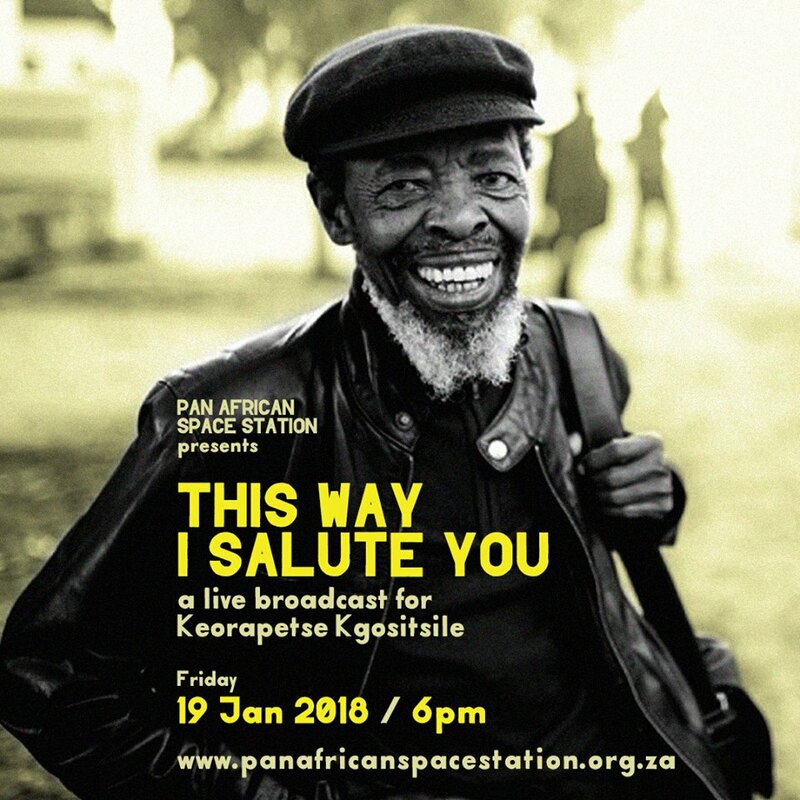 On Friday 19, from 6pm we gather in the Chimurenga/PASS radio studio on Long Street to give thanks to Keorapetse William Kgositsile (19 September 1938 – 3 January 2018). The session is hosted by Uhuru Phalafala and Bongani Kona and features contributions by Harry Garuba, Karen Press, Julie Nxadi, Nadia Davids and Sandile Dikeni. We will also listen to and broadcast recordings of his performances, interviews etc, and the work he often made reference to: Dyani’s bass, the words of Baraka and Neruda etc. Please join us, if you’re one of the many Bra Willie taught, touched – as we’ve seen in the beautiful eloges in the press – big up to M&G for collecting these. Or listen online at panafricanspacestation.org.za.